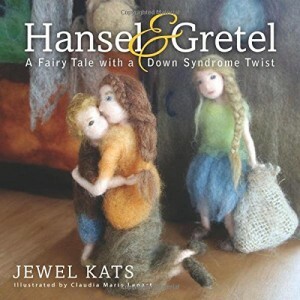 On Oct. 4th, 2014, my eleventh book “Hansel & Gretel: A Fairy Tale with a Down Syndrome Twist” hit the market. The illustrations in this book are especially unique. They are done in needle-felt art by artist, Claudia Lenart. They basically look like wool paintings! Really neat stuff. The story is very special, too. ← What an honor! George Brown College names me a “student success story”! I have recently purchased a copy of Hansel and Gretel via Fishpond in Australia. I am wanting to purchase copies for my nieces and nephews for Christmas, but as it comes to us from the UK I need to order asap. Is there anywhere that I can read the text of the book to confirm if it is suitable for the ages of the children I am purchasing for? The original copy I have ordered isn’t dur to me til mid December and by then I won’t get the others in time for Christmas. I would appreciate any suggestions you may have! Thanks for your interest in Hansel & Gretel! You can preview a certain amount of the text on Amazon using the “Look inside the book” feature. Or you can get the whole text electronically for $4.95 at Amazon and view it on your PC, Macintosh, iPhone, Kindle, Android phone or tablet, iPad, etc.